I will admit, it's easier and cheaper to get into the car (even with today's gas prices), drive to the grocery and grab a bag of potato chips. But, it's the satisfaction I get from creating something, that's why I choose to labor this way. And if you have kids, I bet they will enjoy making their own chips and getting creative with what flavors to put on the chips. 1. Wash the potatoes thoroughly under running water with a vegetable brush. 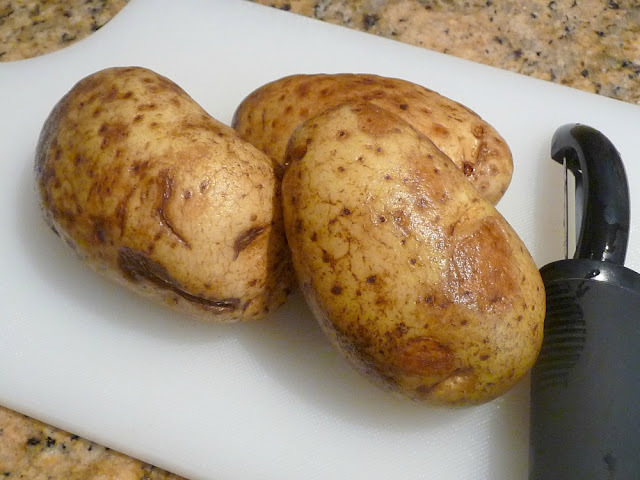 I chose not to peel the potatoes, but I used the peeler to remove some "eyes" on the potatoes. 2. Using a sharp knife, slice the potatoes really thin, you can see through them. 3. Start heating up enough oil, so that the chips are floating in them without touching the bottom of the pot. 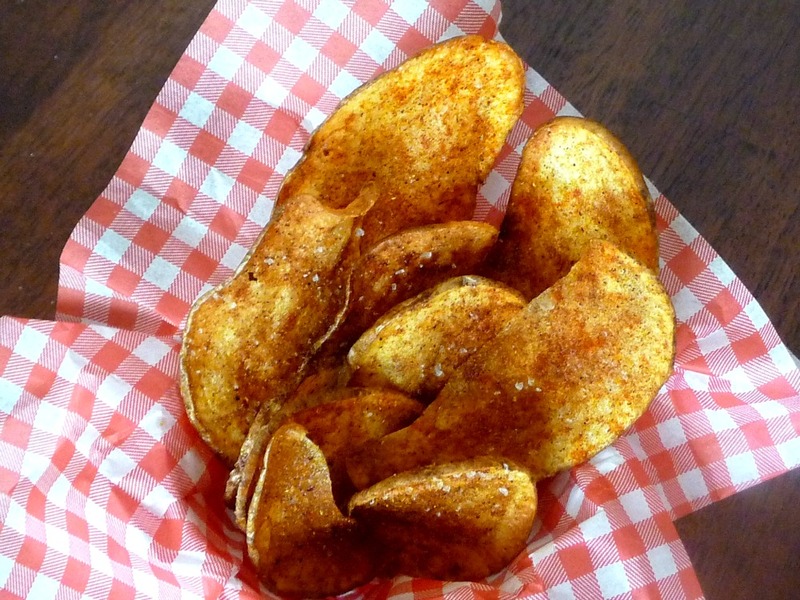 Lay the potato slices on a plate and sprinkle with paprika, white pepper, and curry powder. 4. Carefully drop in one potato slice at a time. The oil must be hot enough to create bubbles when the potatoes are put in, but not too hot or you will quickly burn the potatoes.